Belmont’s Office of Community Relations, the Welcome Home Team and seven Nashville supplier diversity leaders recently partnered to participate in the first Supplier Diversity “Coffee Connection” at Belmont. Among the organizations represented were the Nashville Area Hispanic Chamber of Commerce, Nashville Area Black Chamber of Commerce, Metro Nashville Airport Authority, Metro Nashville Government, Tri- State Minority Supplier Development Council, Nashville Minority Business Center and the Small Business Administration. 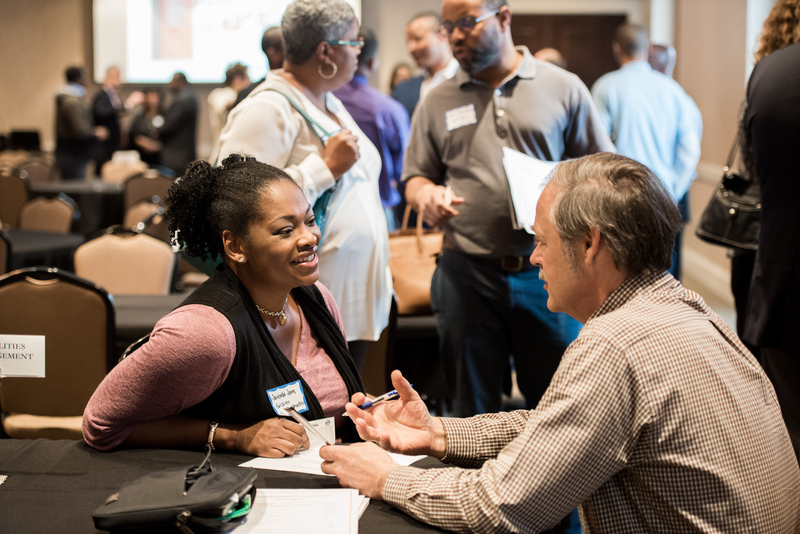 “There was a buzz of excitement in the air as we welcomed new potential suppliers into the program,” said Barbara Bell, doctoral intern for the Office of Community Relations. For further information on the program, click here.